Its only a bit further on up the river Tame from my usual haunts around Kingsbury to travel up the A38 to Alrewas and Barton under Needwood. Although deep in Staffs. 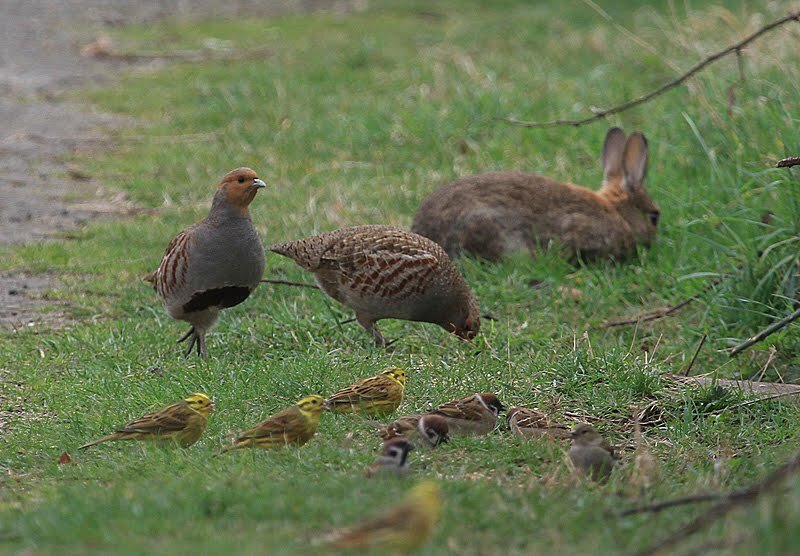 these areas are well worth searching for passage waders and farmland species. 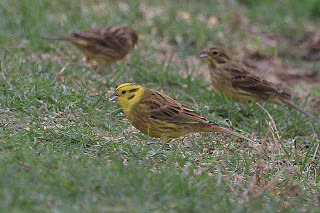 The working Quarries known as Branston Gravel pits have left deep and shallow water pits viewable from a public path. 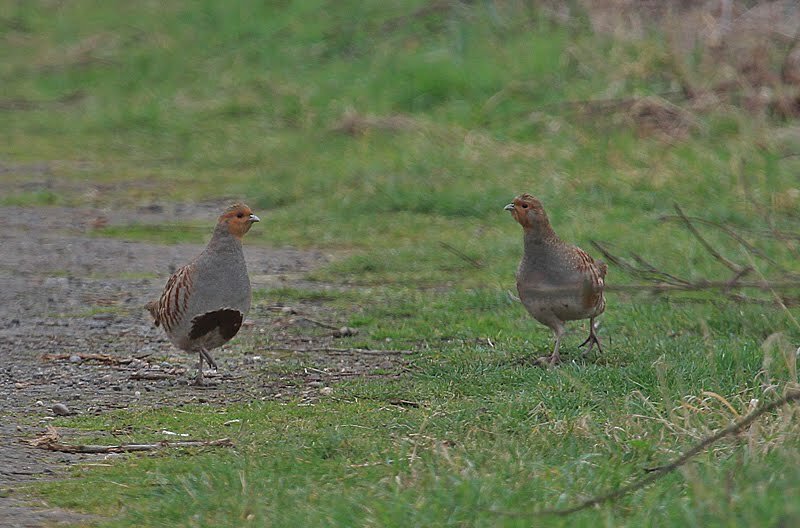 On Tuesday the 1w White fronted goose showed well and waders were represented by 3 Curlew, 30c Golden plover, 7 Ringed plover, 3 Ruff and a few Redshank and Oystercatcher. 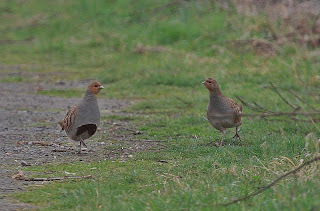 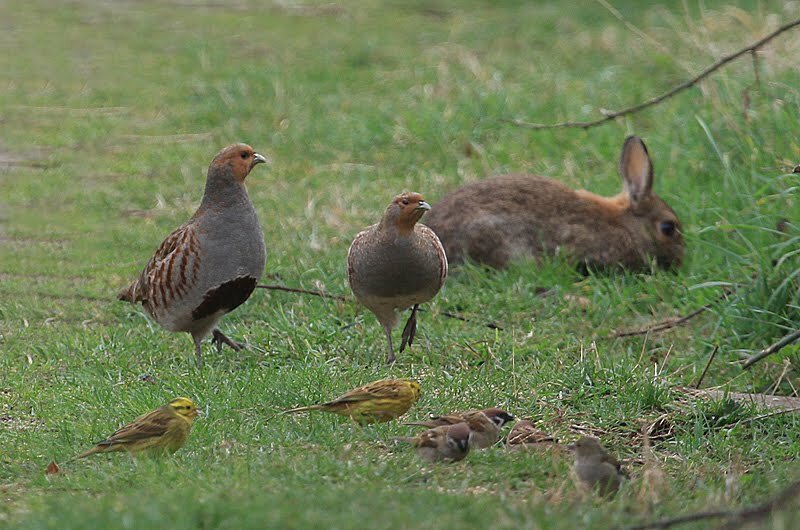 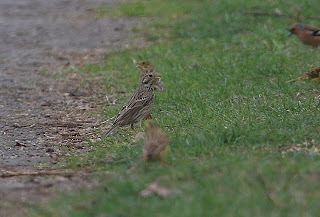 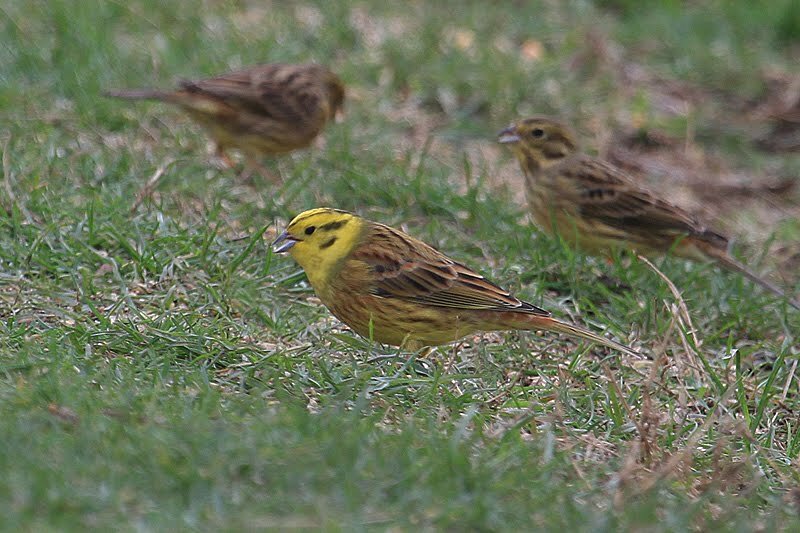 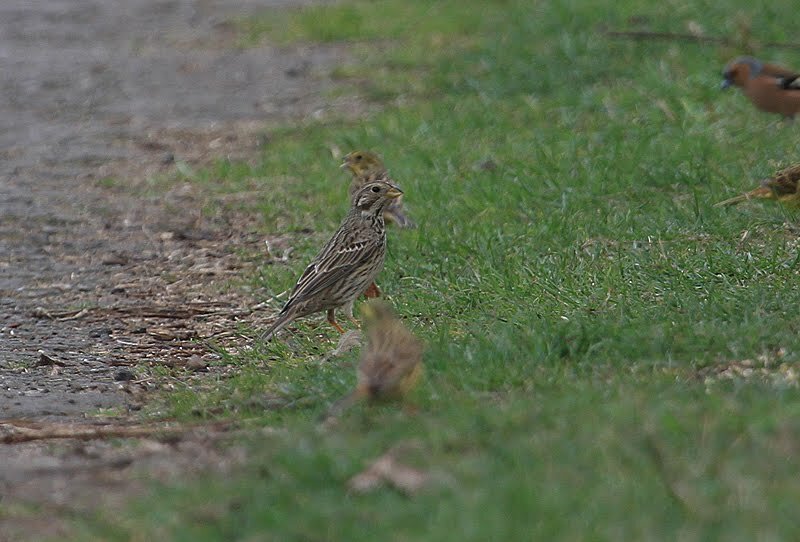 At Whitemoor Haye a pair of Grey Partridge showed well with the flock of Tree Sparrow, Corn Bunting and Yellowhammers.